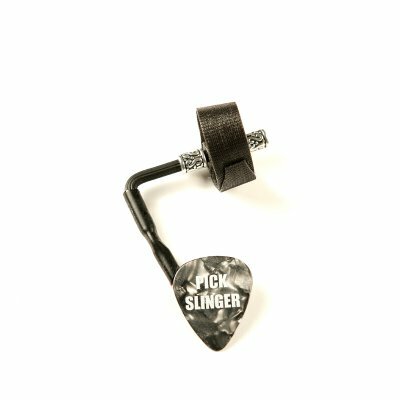 PICK SLINGER "Black Beauty" As your pick is now "tethered" to your grasp, you can never drop it or lose it. 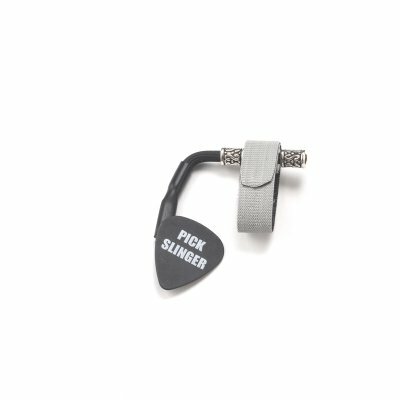 PICK SLINGER in Black & Grey. A CLASSIC look. 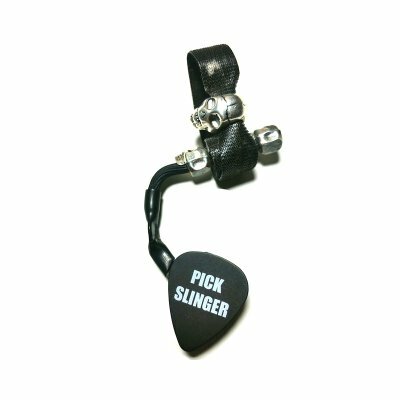 PICK SLINGER All Black with "Bling". 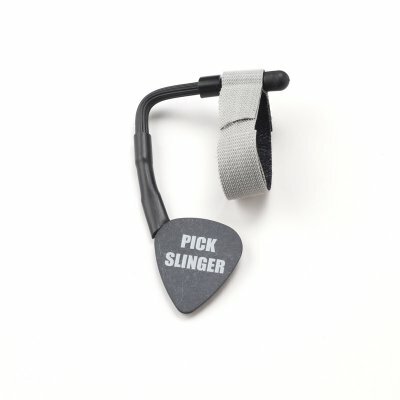 PICK SLINGER Black and Grey with "Bling". A true CLASSIC. 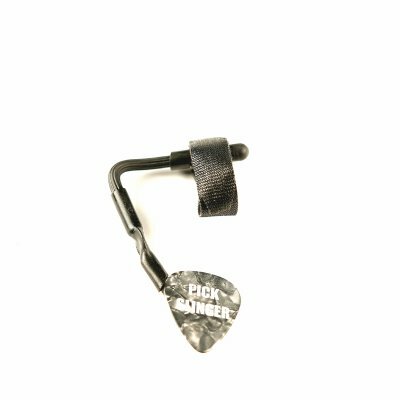 PICK SLINGER All Black with three skulls. One master and two slaves.